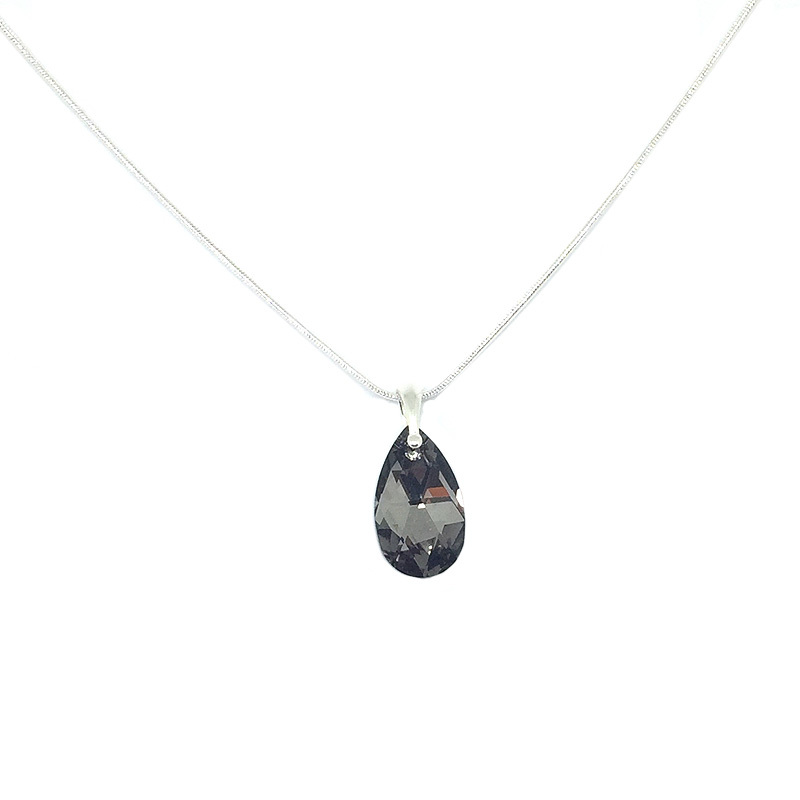 This gorgeous Black Swarovski Pendant is elegant and sophisticated. 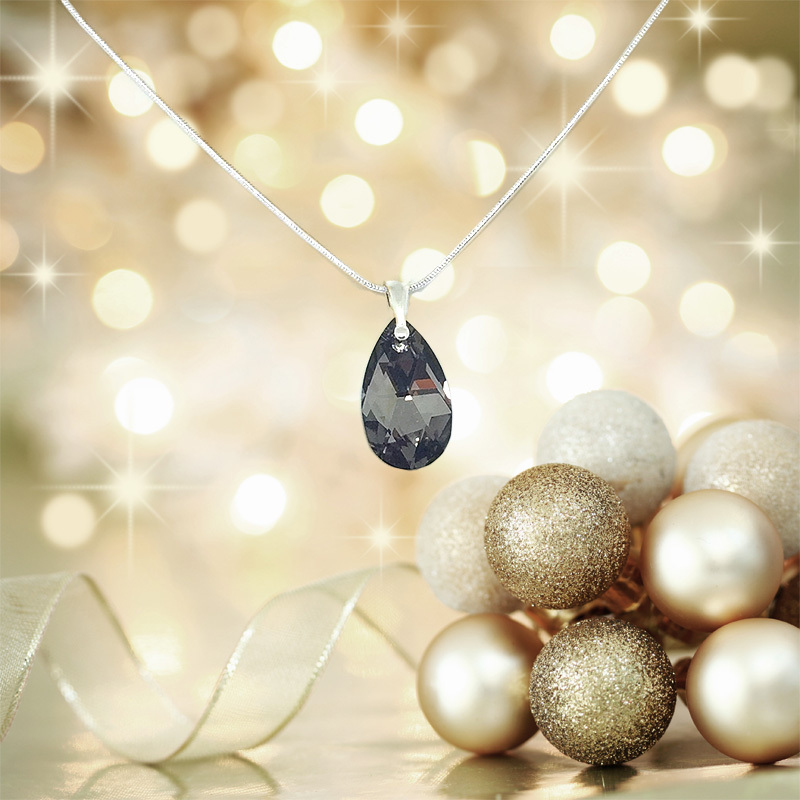 It features a shimmering black Swarovski elements teardrop crystal that glistens dramatically when it catches the light. Making a perfect women’s gift for any occasion, this pendant measures approximately 18″ and is finished off with a quality sterling silver snake chain and bail.